A wide shot of the cemetery. Older stones are to the right and center. The names Farm to Market Road 2222 and Ranch Road 620 indicate that they area of west Austin between Bull Creek and what is now Lake Travis was not always populated by large houses on hilltops. Even as late as the 1980's this area seemed remote and distant from Austin. In the 19th Century the sense of isolation was all the more potent. The rough and rugged land was mostly useful for ranching. Steiner Ranch at over 4,000 acres was in the area. 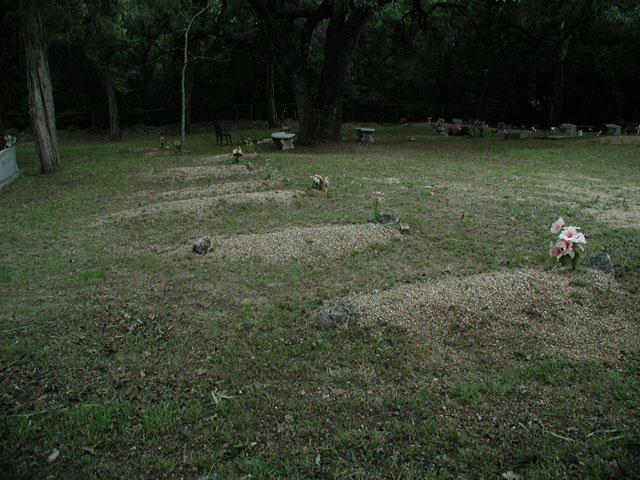 A large number of graves had crude markers, but names and no certain indication that there ever was one indicated. 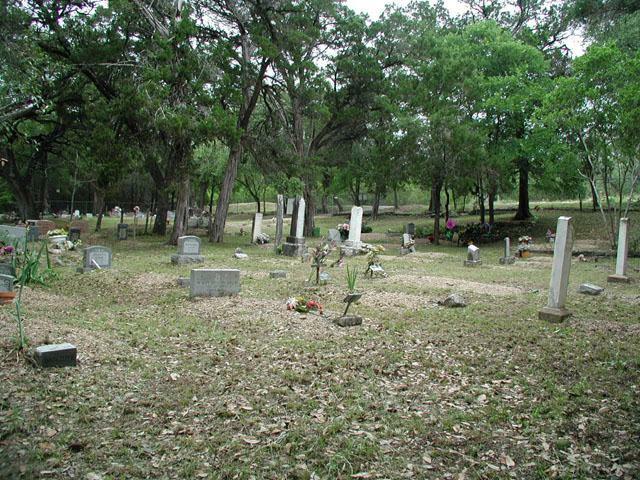 While a rapidly growing FM 2222 breezes nearby it now, the Preece Cemetery was originally situated in what must have been about as tranquil and peaceful a place imaginable at the time. 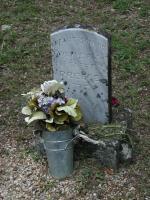 The earliest legible gravestone indicates a burial in 1885. The property is tucked away on Vaught Ranch Road just south of FM 2222, between Loop 360 and RR 620. 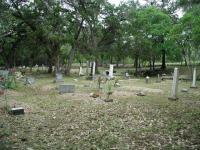 The cemetery takes it name from the Preece family, whose graves make up the earliest to be found. 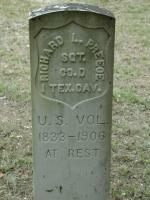 Both Richard and Edward Preece served in the First Texas Cavalry. Edward served in the Spanish American War. The cemetery continues to be used up to this day. 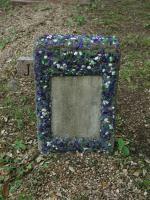 Later burials show a greater variety of surnames than the older stones. The last Preece marker indicates 1939. My visit happened to occur on mother's day. 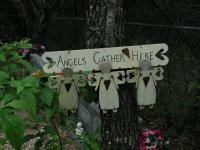 While I saw no one else at the cemetery there were obvious signs of recent visitations. But the amount of attention paid to some of the markers went farther back that just that one day. Surprisingly, most graves seemed to have something to go along with it. 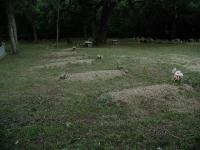 Whether it be some flowers in a pot, mementos or sculptures few graves stood bare. Based on the weathering of the plastic plants left behind it was obvious the attention was not a one-a-year occurance. Sadly, the Preece family markers seemed to have fewest adornments overall, leading one to wonder how many close Preece relatives still live in the area. Some other family names in abundance at the cemetery include Cowan, Hickman and Ringstaff. I stopped by after work today to make the visit official. The photos attached to this log entry are from a previous visit some years ago. The sign on the fence says private so visiting this cemetery may no longer be an option.